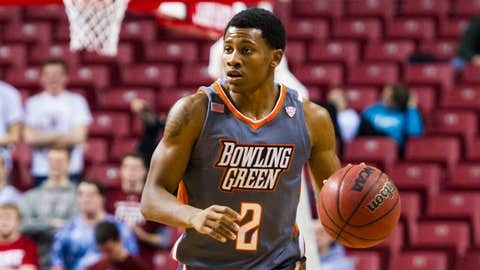 BOWLING GREEN, Ohio (AP) — Richaun Holmes scored 20 points, grabbed 10 rebounds and had four blocks to lead Bowling Green to a 67-57 victory over Central Michigan on Wednesday. Spencer Parker also had 20 points and Anthony Henderson added 13 for Bowling Green (7-9, 1-2 MAC). Holmes and Parker combined to make 14 of 19 shots from the field. Jehvon Clarke was just 3 of 12 for nine points but handed out seven assists. Chris Fowler made 7 of 16 shots and finished with 19 points for Central Michigan (7-8, 0-3). Blake Hibbitts added 14 and freshman Braylon Rayson made his first career start for the Chippewas. Central Michigan pulled within five points with 9:15 remaining, but Parker and Holmes scored Bowling Green’s next six points for a 54-43 lead. The Chippewas only made three field goals in the final seven minutes — all 3-pointers by Fowler and Hibbitts.